Open Sesame! 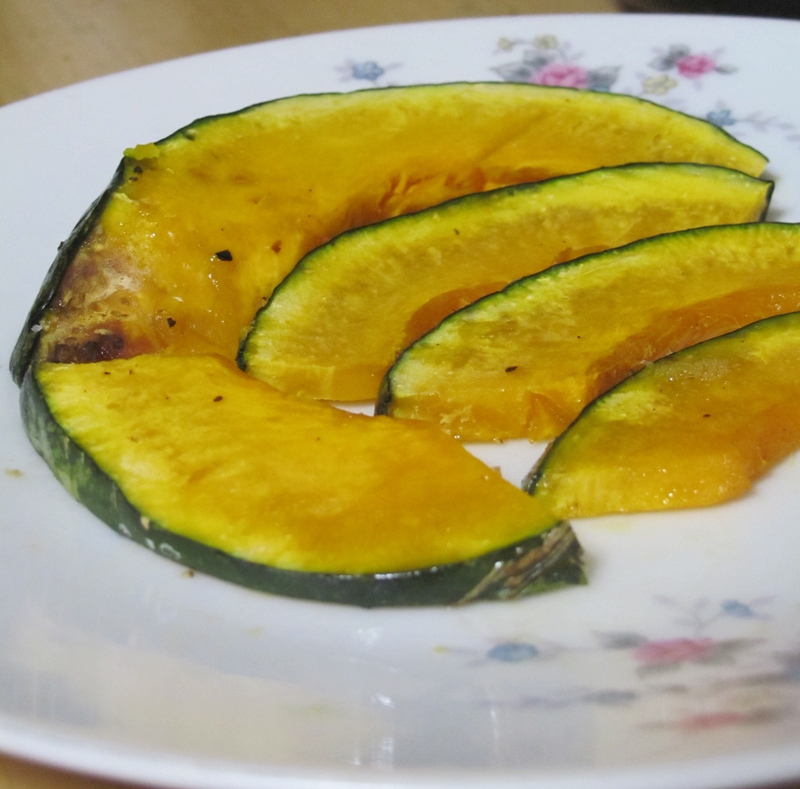 Sesame-Roasted Kabocha – I'll Make It Myself! 開けゴマ (hirake goma): open sesame! Sesame oil is my new favorite cooking oil. It’s high in antioxidants and, as a result, has a long shelf life. As friend once said, the flavor of Japan is sesame oil, and I use it whenever I’m going for Asian-inspired flavors rather than European (olive oil) or neutral (grapeseed oil). Sesame suits Japanese vegetables well and is a lovely complement to kabocha, a sweet orange squash. I hadn’t considered it as an oil for roasting vegetables before, but it’s perfect for this simple dish. If you chop the kabocha ahead of time, this is a easy side-dish to have in the oven or oven range while you make Komatsuna and Chicken Stir-Fry, which also uses sesame oil. Variations: try sage (seiji, セージ), thyme (taimu, タイム), or herbs de Provence (furenchi haabu, フレンチハーブ), to taste; may also use olive oil (oriibu oiru, オリーブオイル) instead of sesame oil. Preheat the oven to 210 C (400 F). Wash the kabocha skin well. Leave the skin on. Scoop out the seeds and stringy bits. Toss the kabocha with the sesame oil, salt, pepper, and seeds (or spices) and arrange in a single layer in the roasting pan. 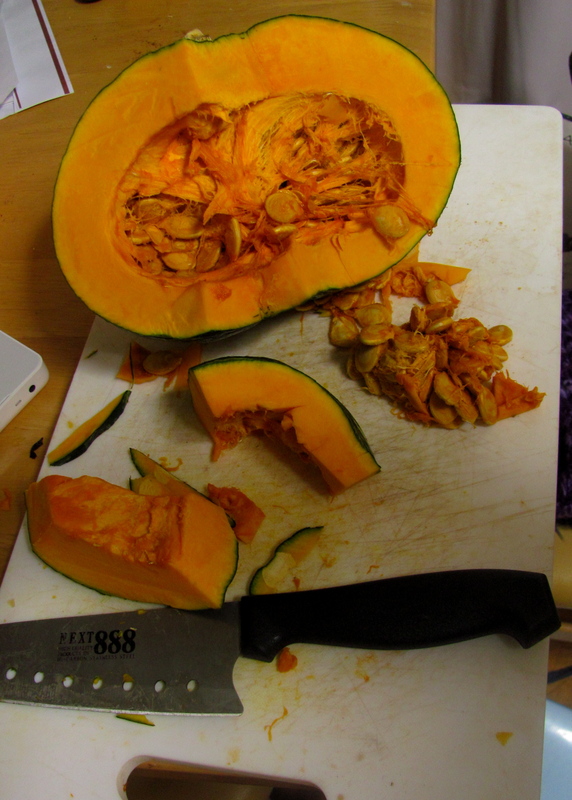 Roast for 20-30 minutes, until the kabocha is tender and lightly browned.